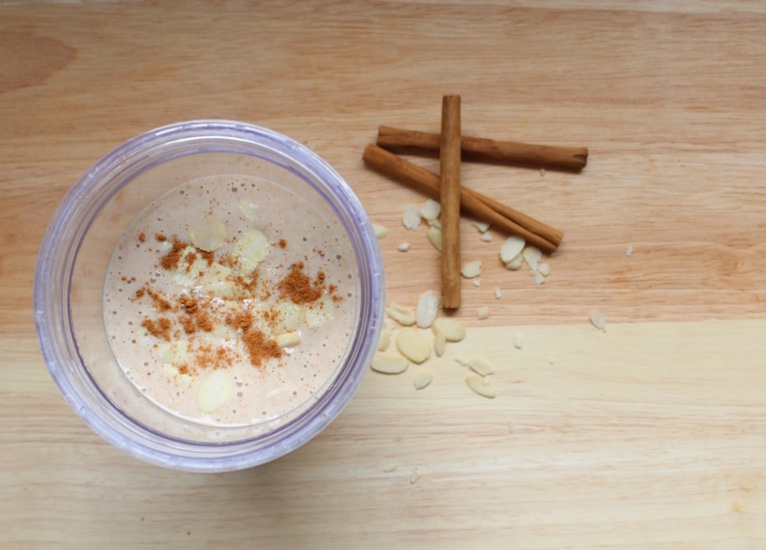 Next in my series of healthy recipes comes this nutritious thick and creamy breakfast smoothie, packed with flavour and fibre keeping you fuller for longer. An easy grab and go morning pick me up. 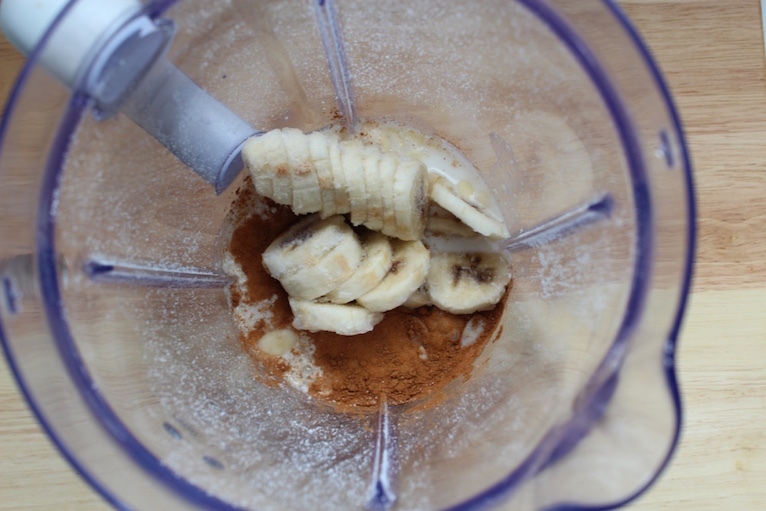 Prior to making this smoothie you need to make sure you have one frozen ripe banana, peeled and diced into small discs. Bananas don't take long to freeze but I would recommend freezing them overnight. I always have a couple ready as they are a great natural ice cube and really thicken up any smoothie or shake, giving it a lovely creamy texture. 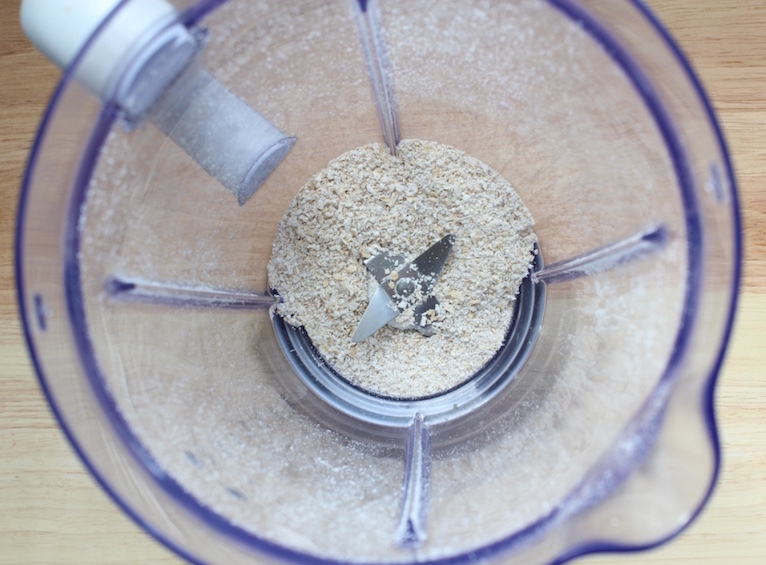 To start blend the oats to form a flour like consistency for about 15 seconds on a high speed, just like in Monday's Banana Oat Pancakes. 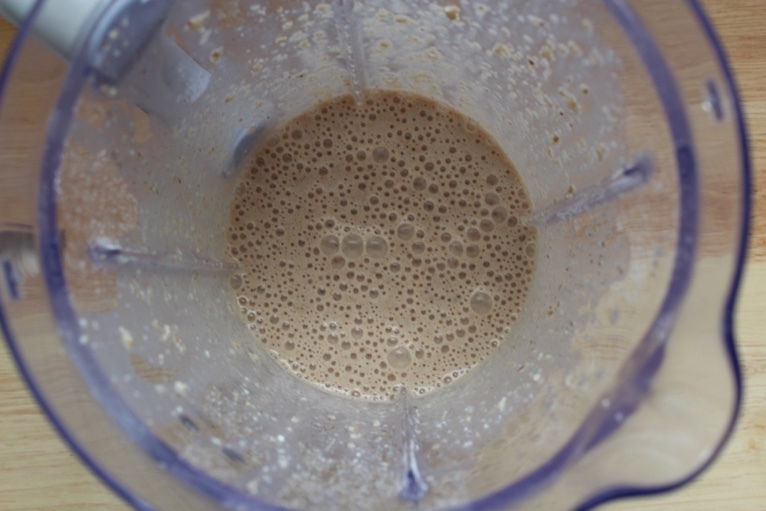 This really helps to break down the oats and make the smoothie thicker and full of fibre. Next add the almond milk, frozen banana, agave nectar, cinnamon and almond flakes to the blender. You can use any sweetener you like, maple syrup and honey are other great alternatives, however you don't need too much as the banana is already a natural sweetener. I absolutely love almond milk, particularly in smoothies but don't worry any milk or liquid will be great with this recipe. Now blend the mixture until it has thickened and everything is well incorporated so there are no more chunks of banana left. 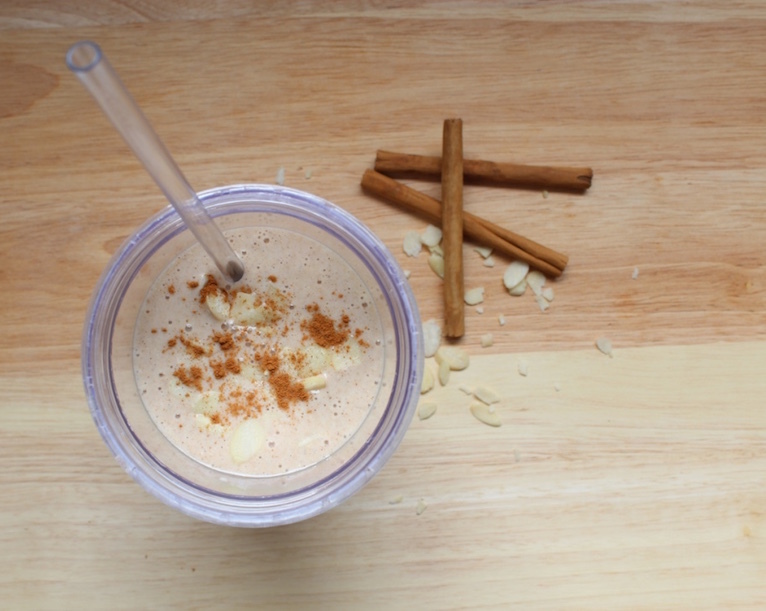 Next pour your smoothie into a glass and top with a sprinkle of cinnamon and some almond flakes. I recently picked up this great eco chiller from Matalan which is great for on the go. And there you have it, a very quick, very delicious and a very healthy smoothie. Ready in minutes for those busy mornings. 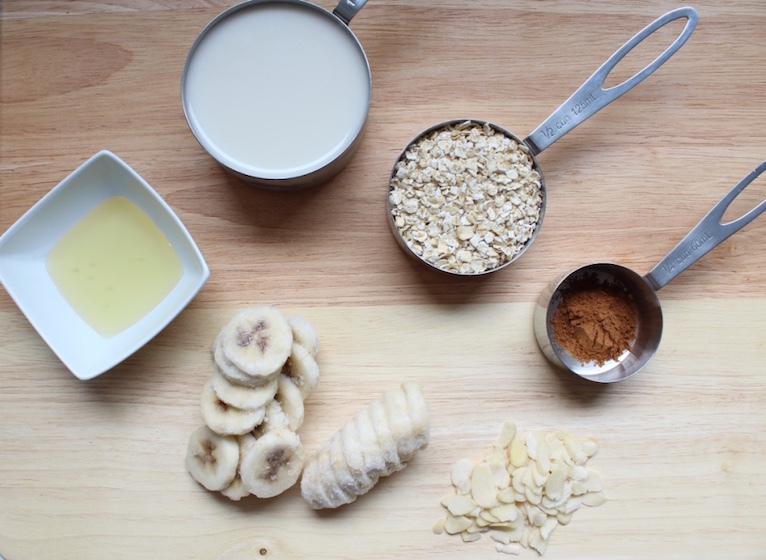 Do you put oats in your smoothie?